But the biggest offenders of all are Jax Taylor and Brittany Cartwright. Over the course of the show, Jax made Brittany look like a fool. He tried to hook up with Lala Kent. Then, he infamously cheated on Brittany with Faith Stowers. He was even caught on tape saying he would never marry Brittany. So when Jax finally pulled the trigger and proposed to Brittany at a local crab shack in Malibu, what’s a girl to do? Say yes, of course. No, Brittany! And now it gets even worse. Jax and Brittany are not going to sign a prenup. Facepalm! I blame Brittany’s lack of common sense from eating too much of Meemaw’s beer cheese. This can’t end well for Brittany and Jax, but it sure will be entertaining for viewers! 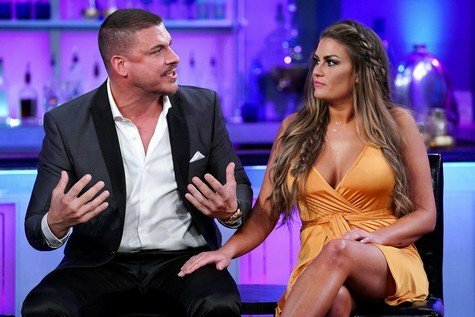 TELL US – WHAT DO YOU THINK ABOUT JAX TAYLOR AND BRITTANY CARTWRIGHT NOT SIGNING A PRENUP? HAS JAX CHANGED? WHO MAKES THE WORST DECISIONS ON VANDERPUMP RULES?